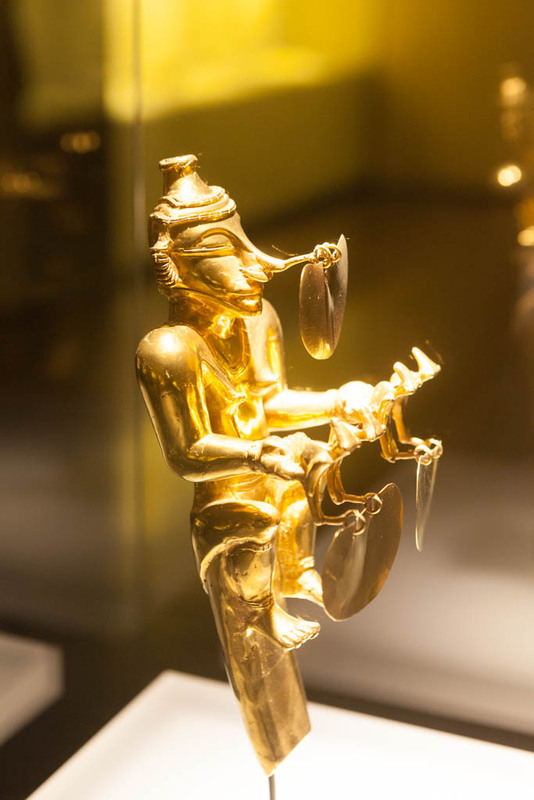 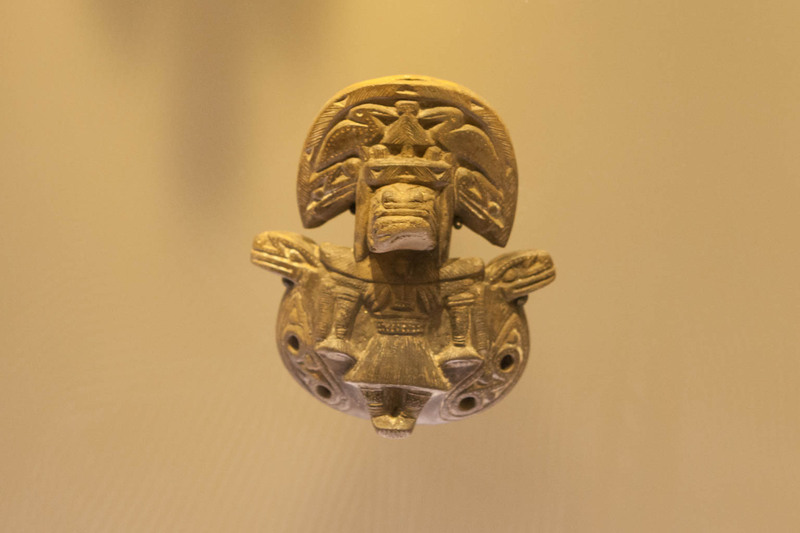 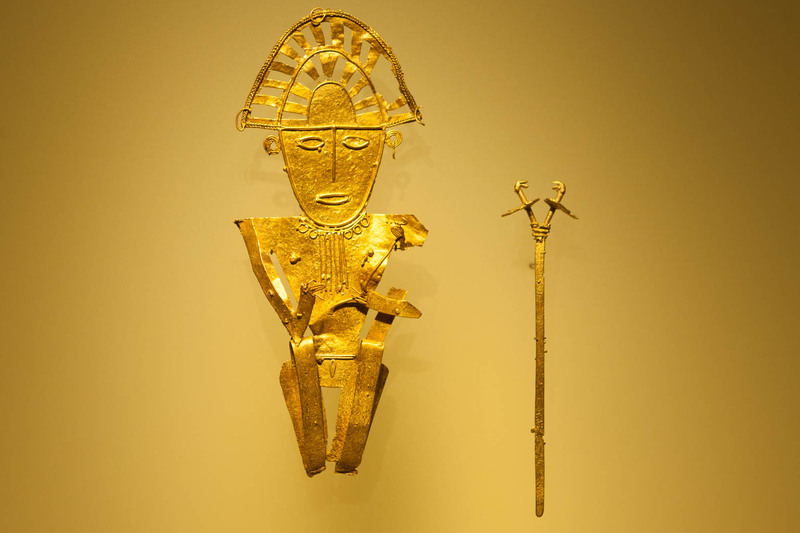 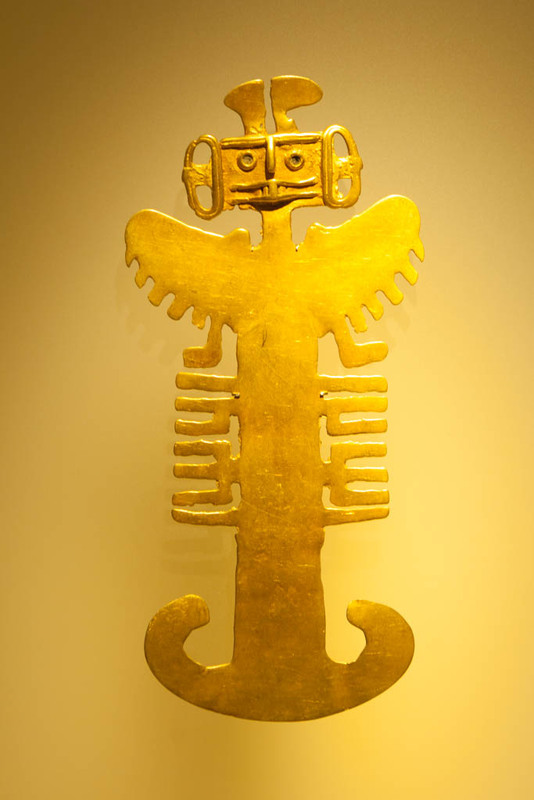 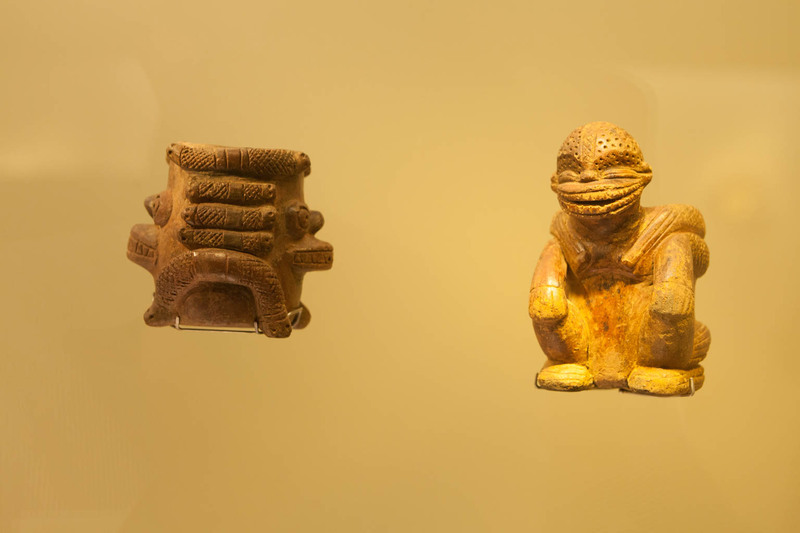 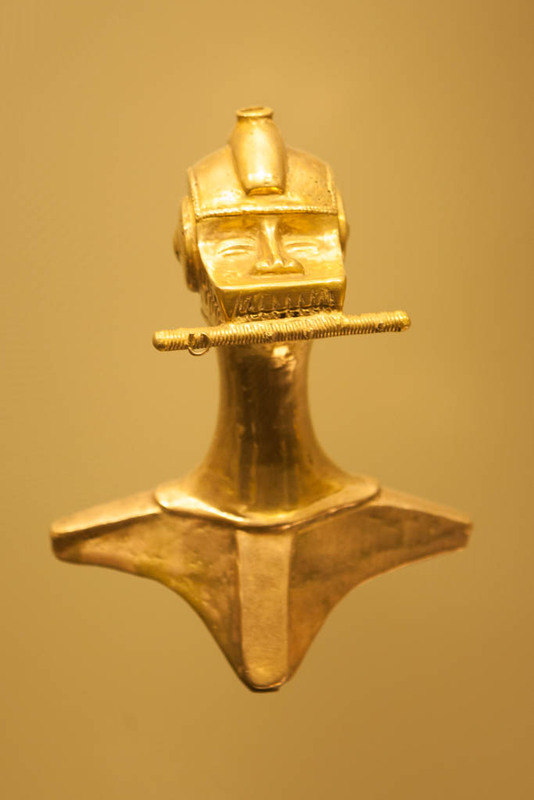 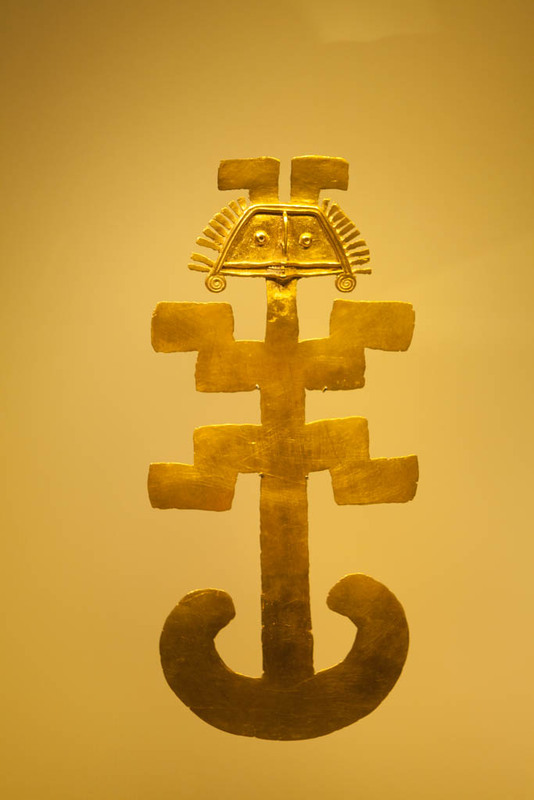 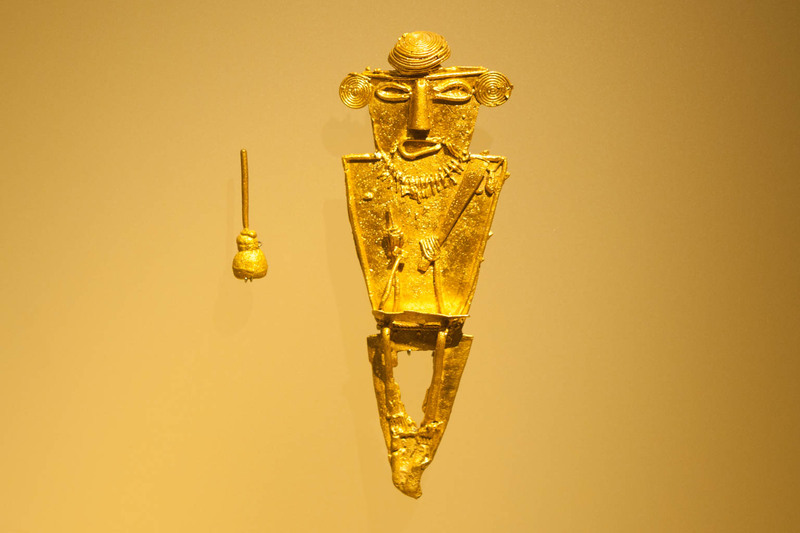 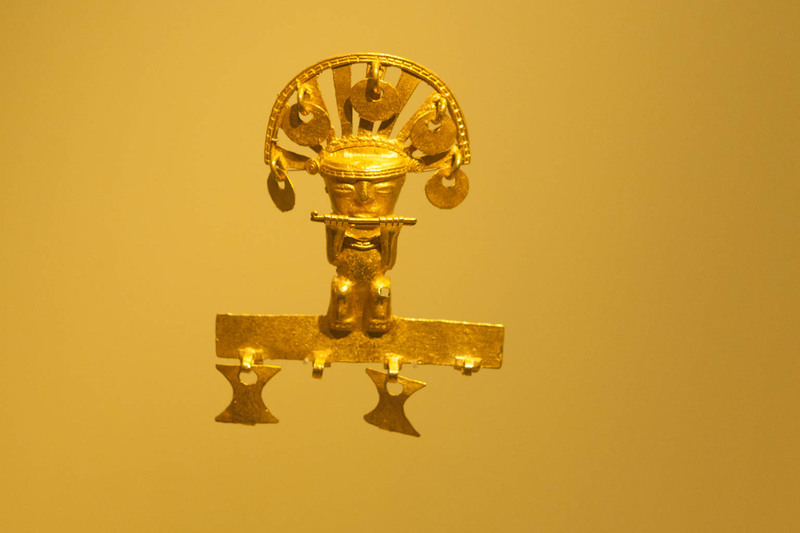 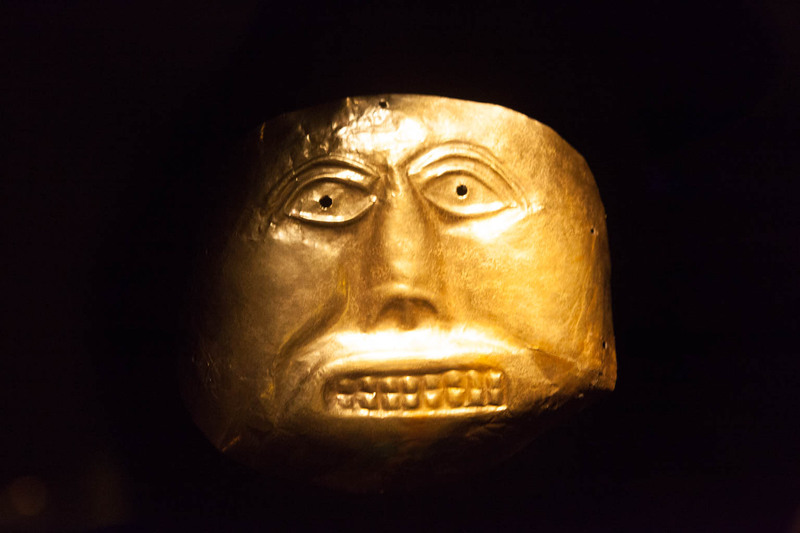 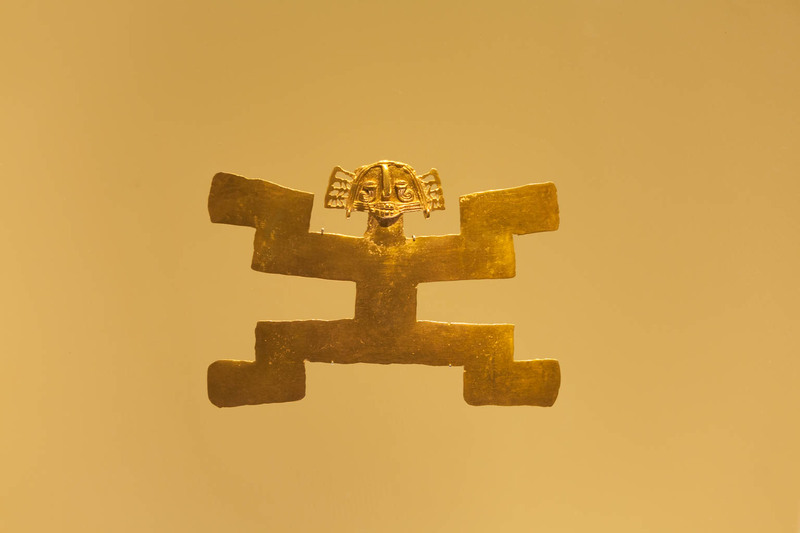 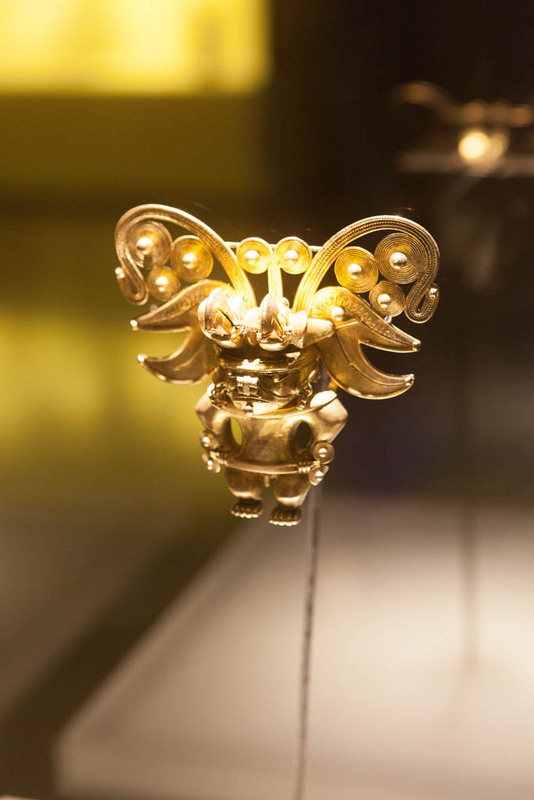 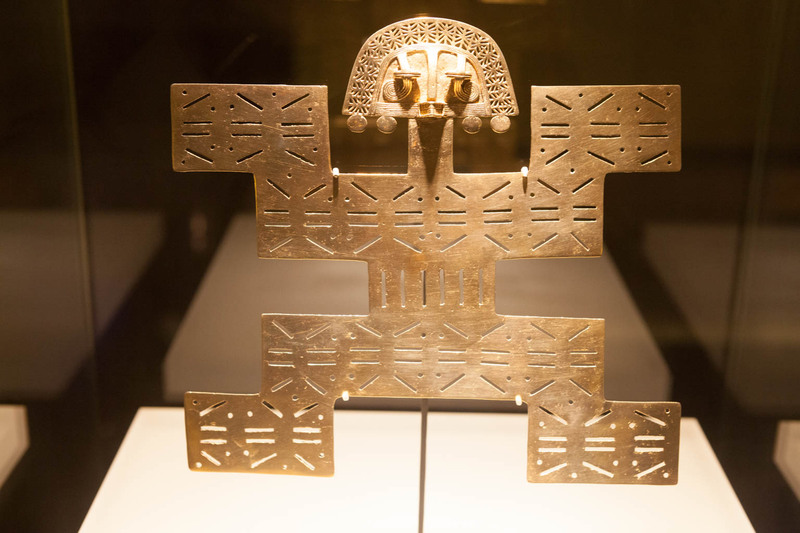 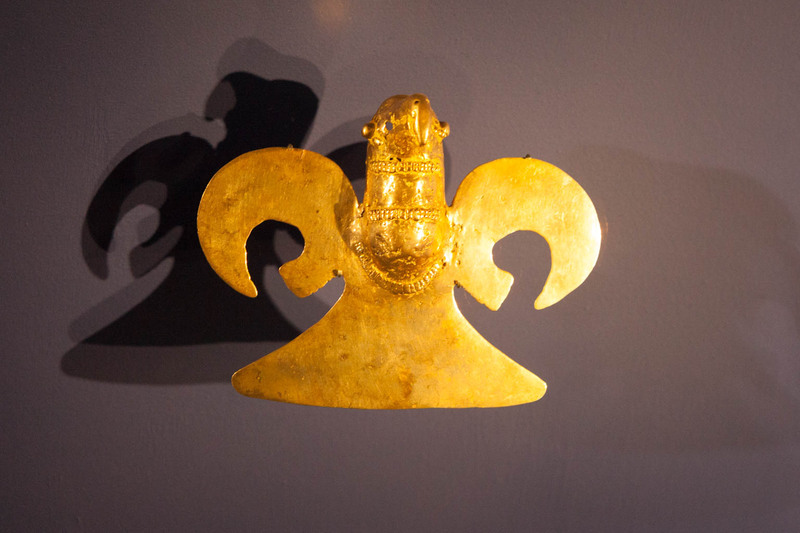 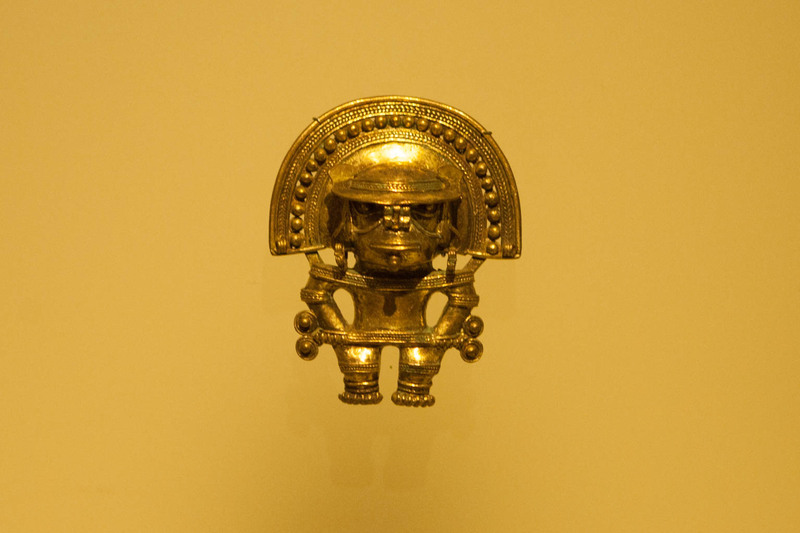 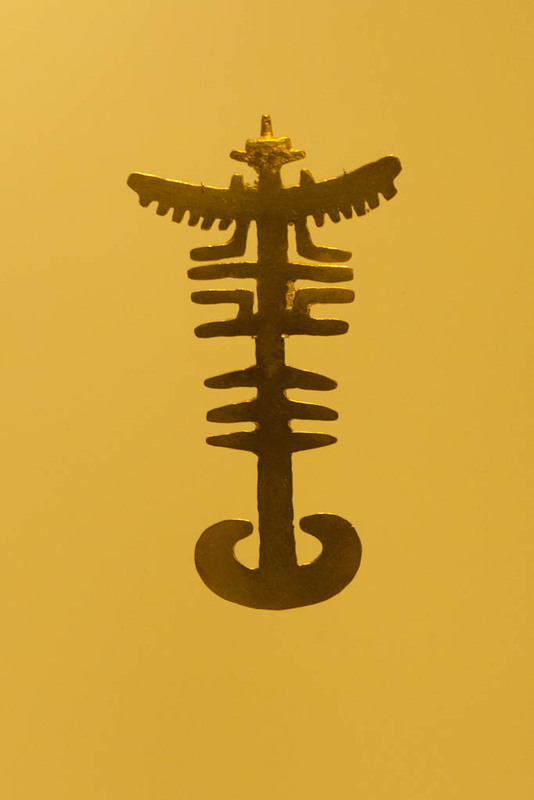 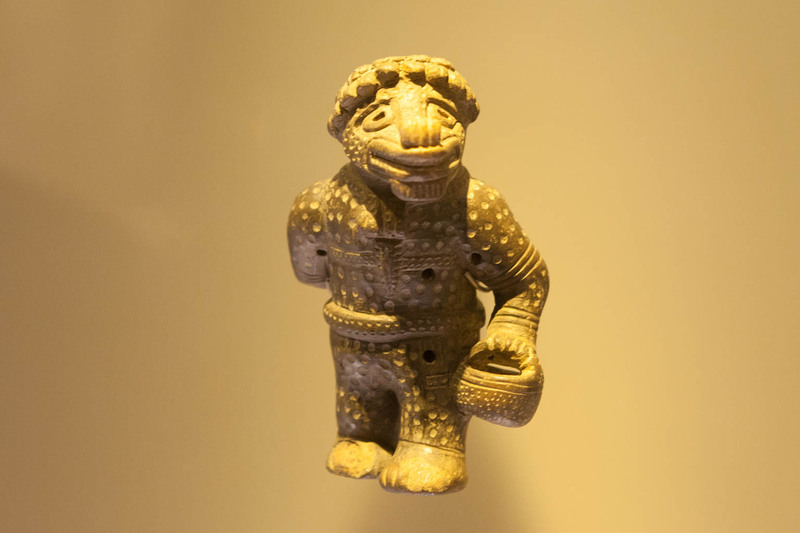 The Museo del Oro (Museum of Gold) in Bogota, Colombia displays the biggest, and one of the most important, collections of pre-Hispanic metallurgy in the world. 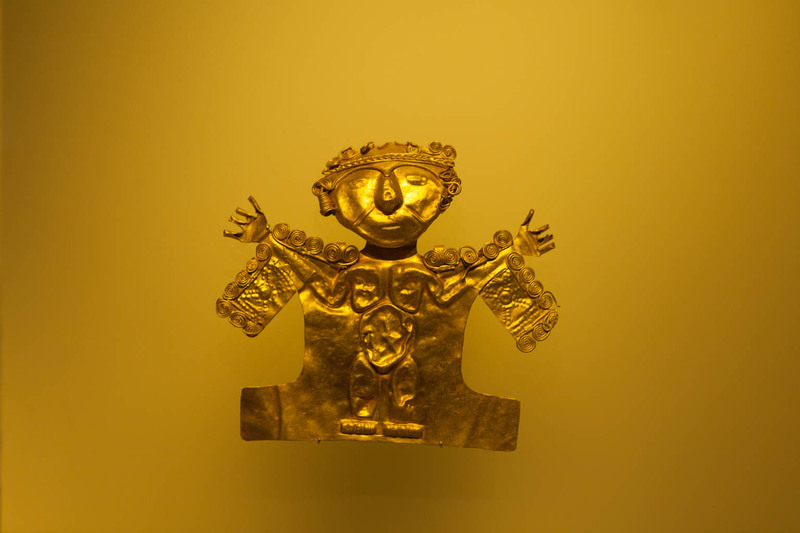 The museum has a stunning collection of more than 55,000 artifacts in silver, copper, platinum, and most especially, gold. 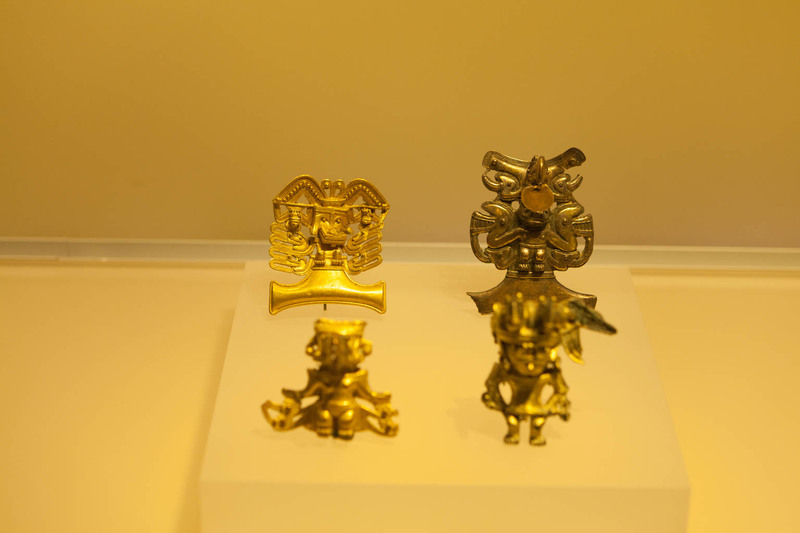 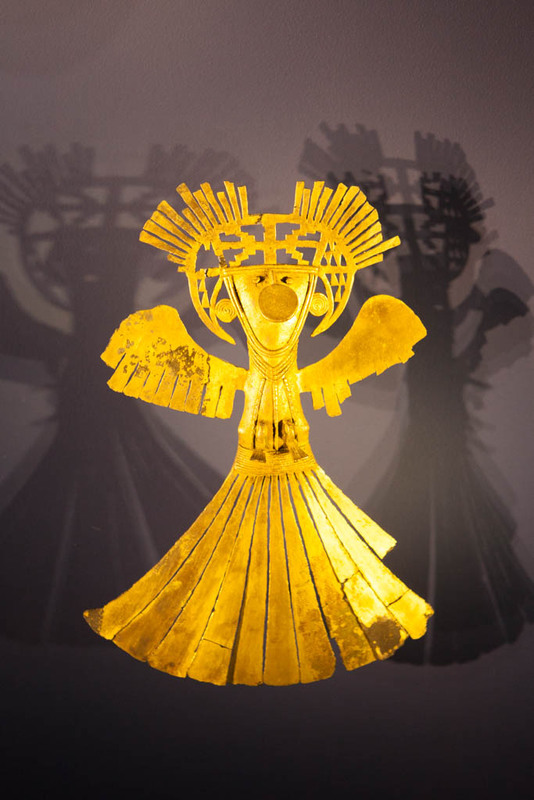 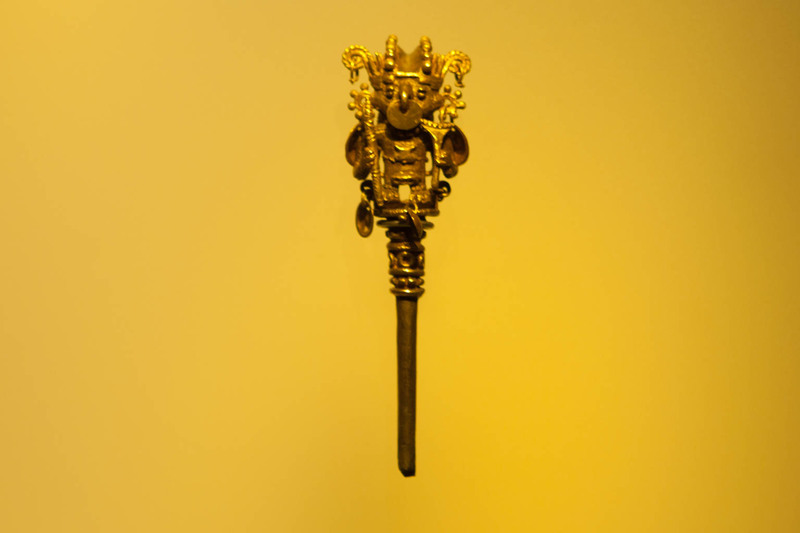 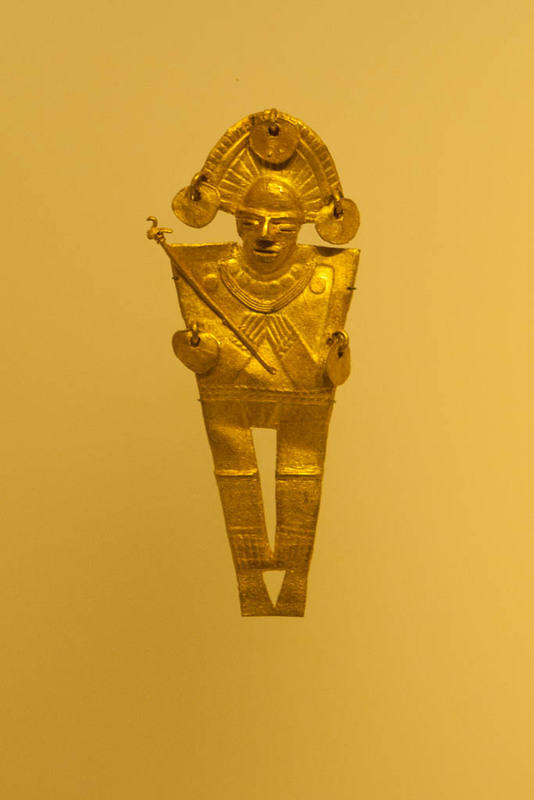 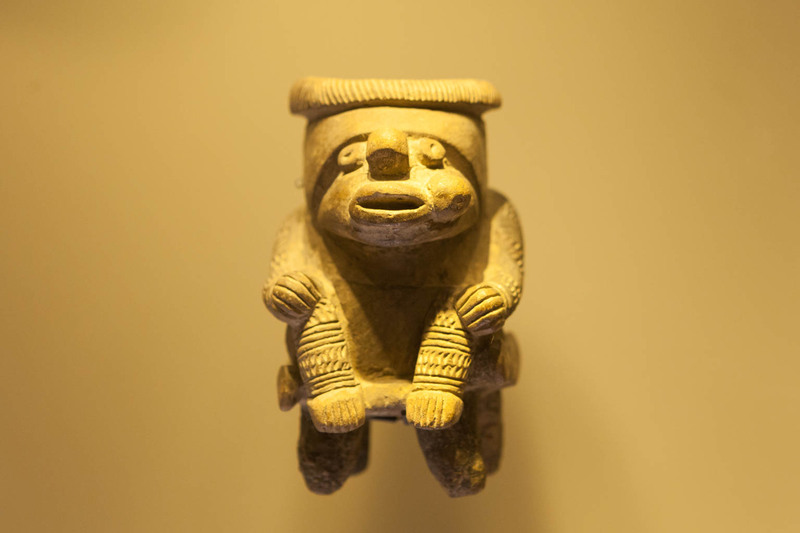 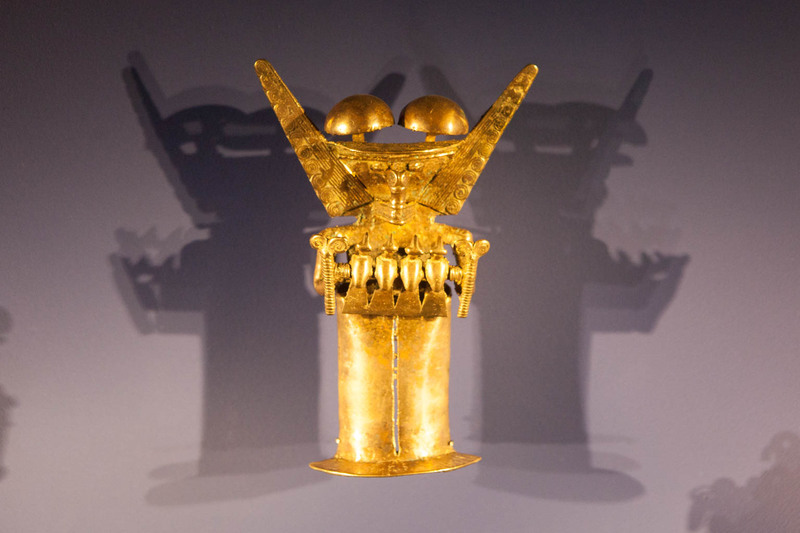 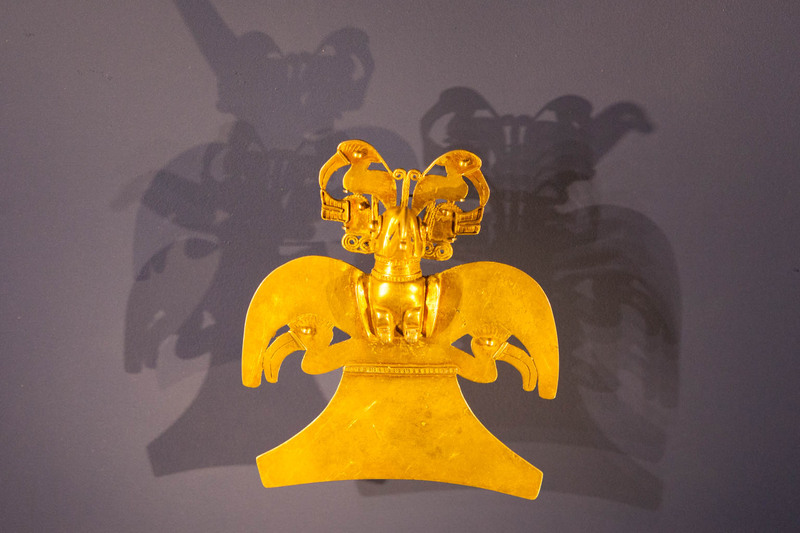 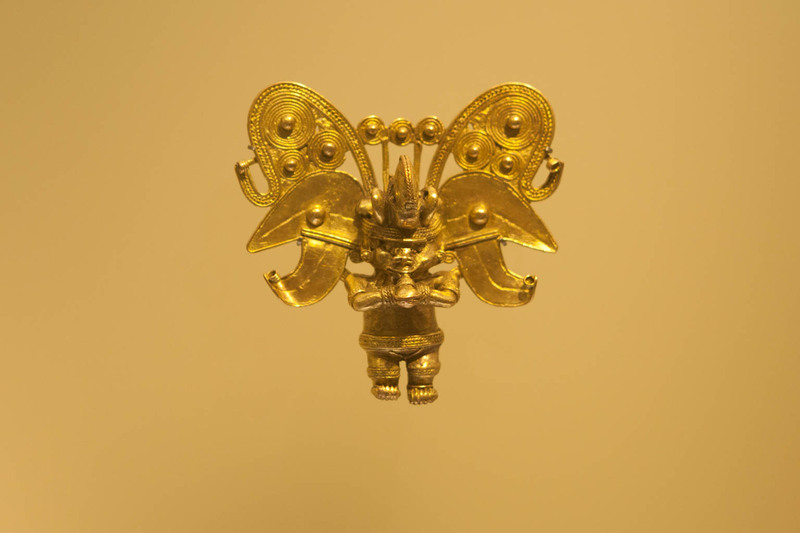 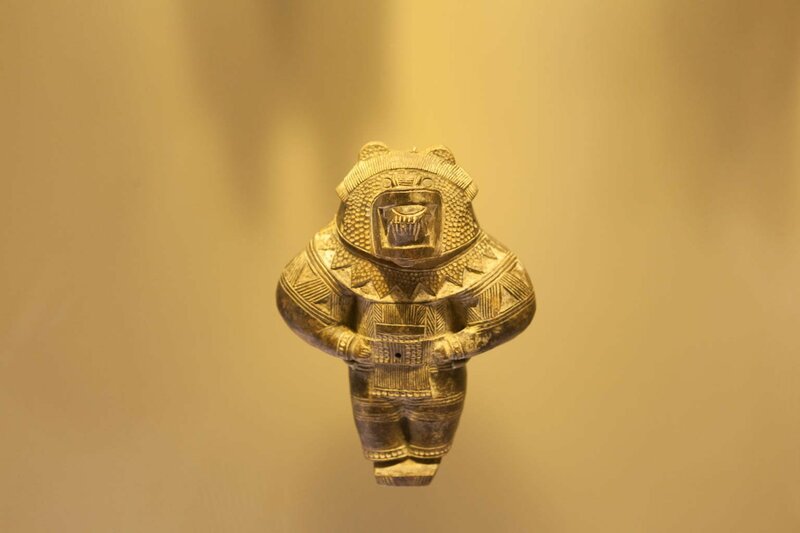 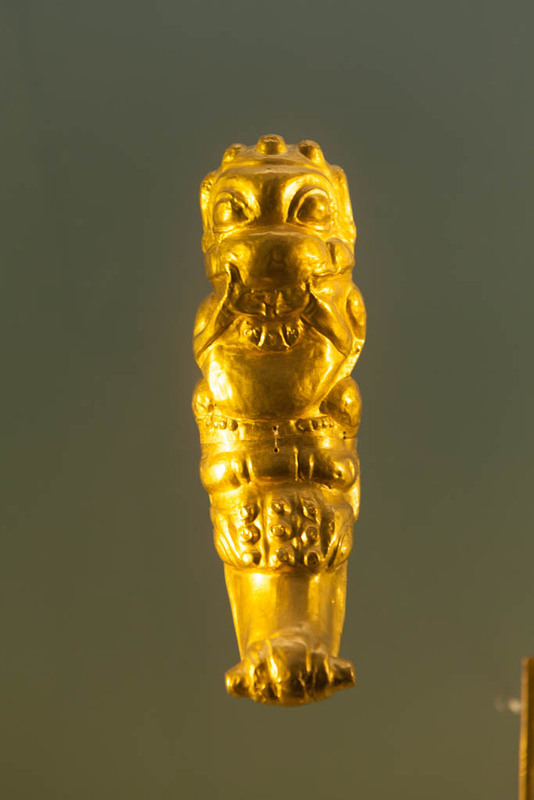 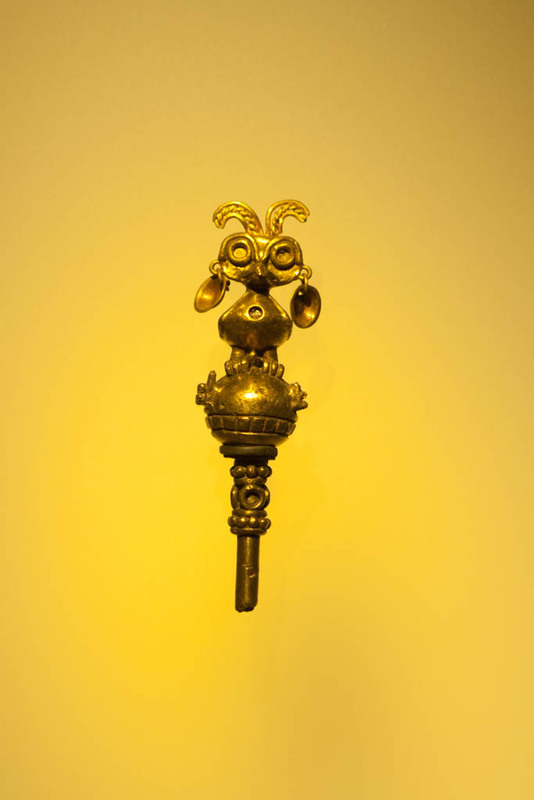 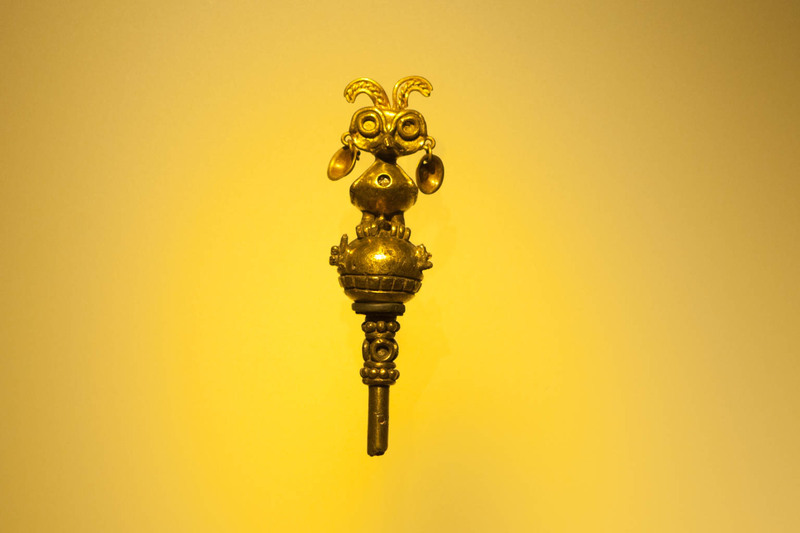 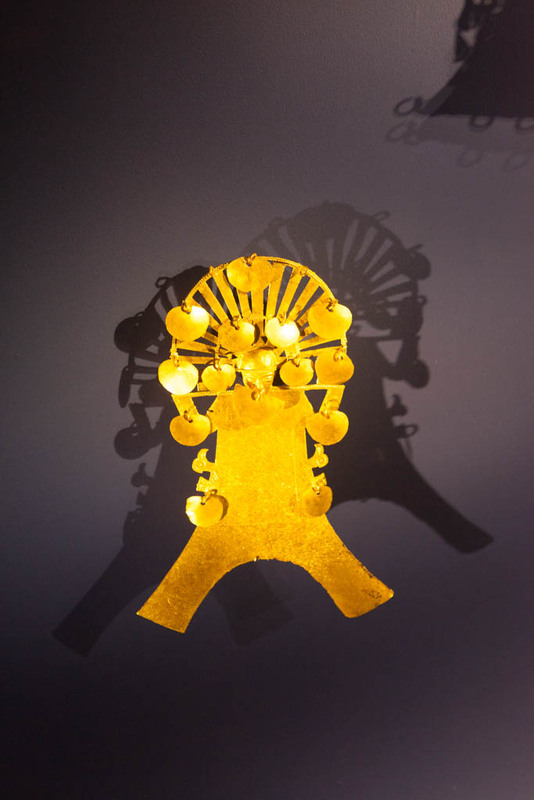 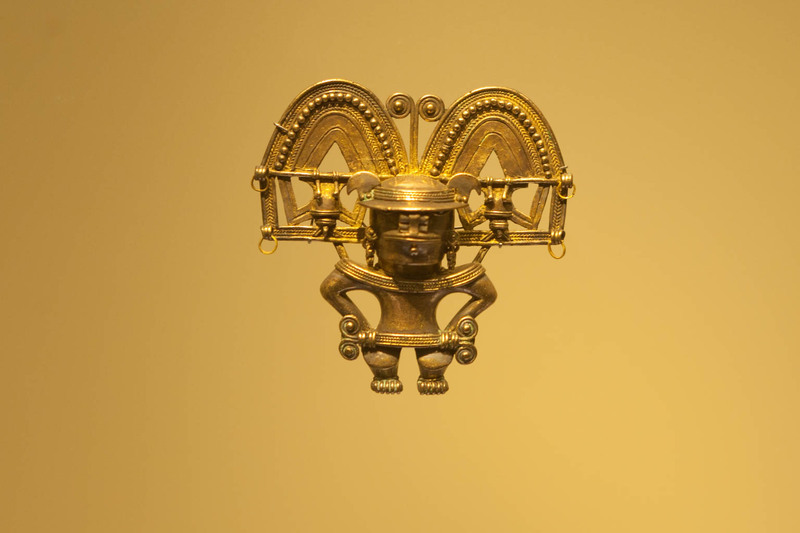 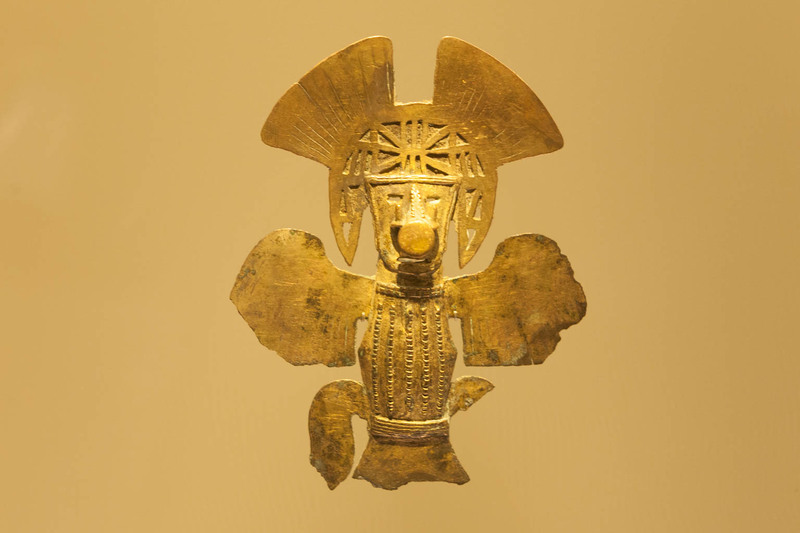 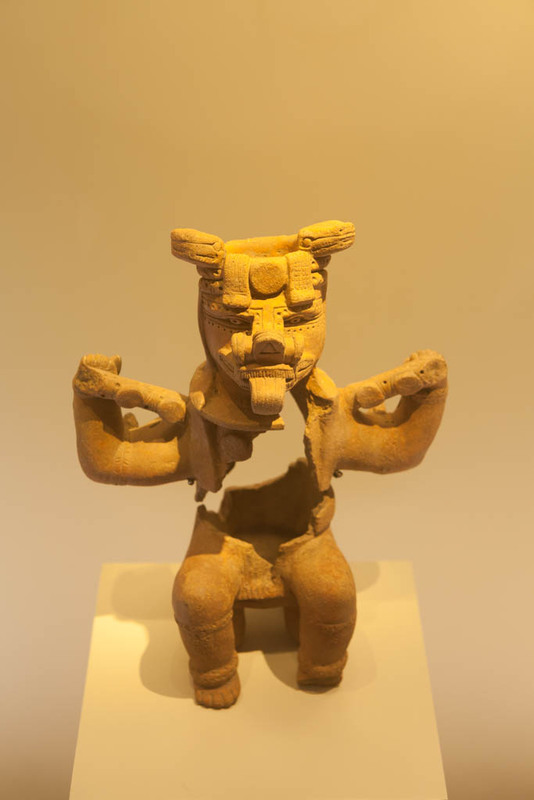 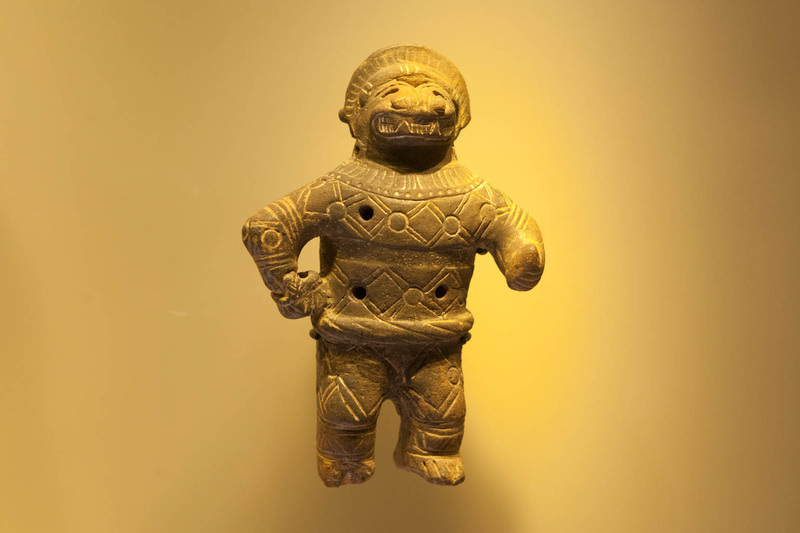 Here we feature just a tiny portion of the spectacular golden figurines that were created by various cultures and civilizations in Colombia over the millennia. 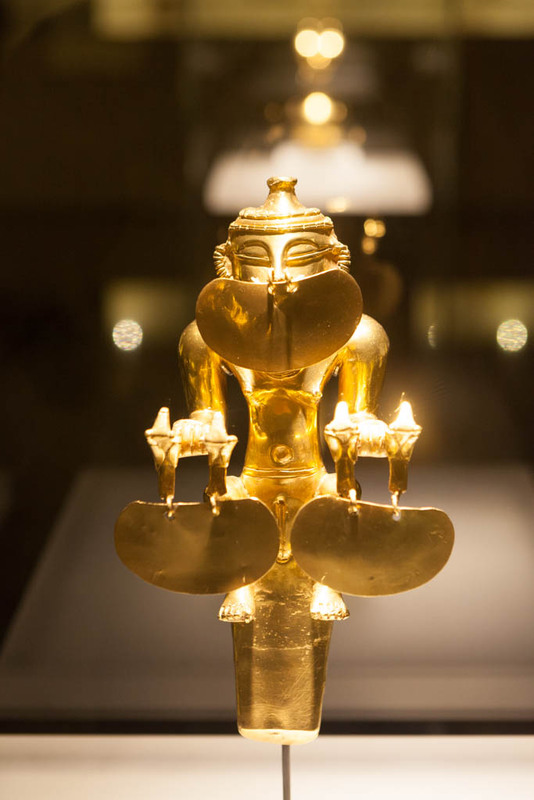 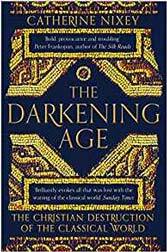 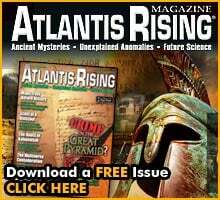 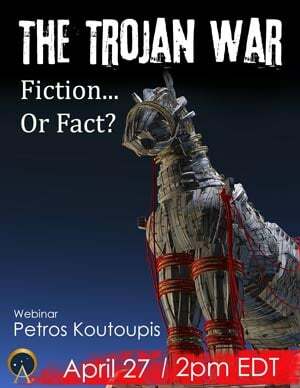 The figures display the exquisite craftsmanship and advanced metallurgical techniques of these ancient cultures.